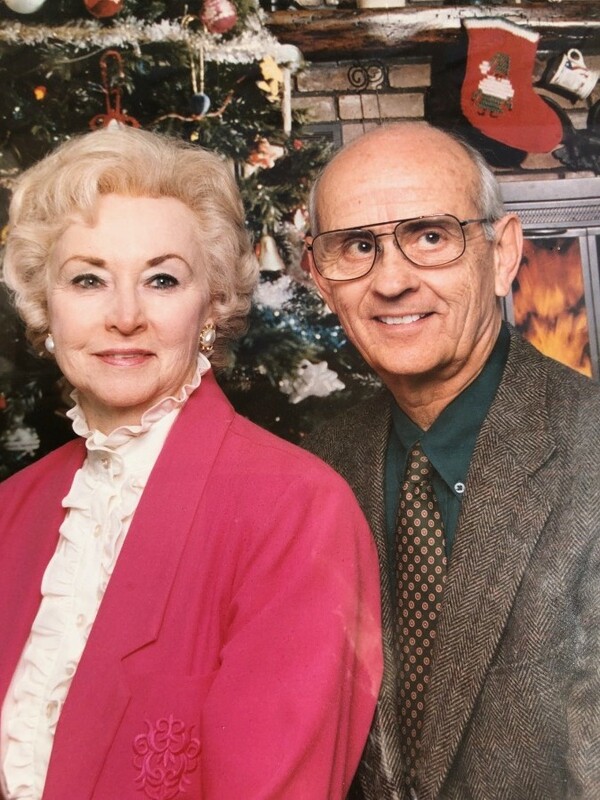 Everette Calvin Stangle, 91, of St. George, Utah passed away on March 28, 2019. “EC” was the 8thof 9 children born to Laurl William and Faye McCalister Stangle. He was born on November 8, 1927 in Newton, Kansas. EC had a glorious childhood swimming in creeks, fishing, picking wild strawberries, and taking care of the chickens, a cow, and a pig. As he grew older he ran track, and played the violin in the high school orchestra. 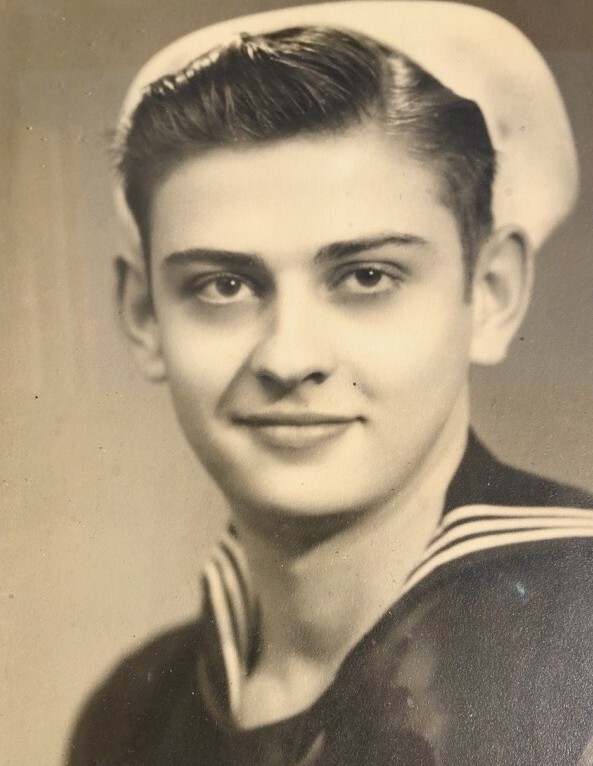 Patriotism tugged at his heart during World War II and EC and three buddies, all underage, felt it was their duty to join the Navy in defense of freedom. It was in May of 1945 that their high school principal accommodated their graduation by moving it up so they could "walk" before they left for boot camp. It was in the bowels of a submarine, sweating in a boiler room that EC spent his days in the Navy. Near the end of the war his submarine picked up soldiers, after the battle of Okinawa, and brought them home. EC gave up his bunk for an exhausted, battle-worn soldier. After the war, EC went to Kansas State University and earned his degree in engineering. He began his career as a mechanical engineer in the oil industry. This was the initiation of multiple moves and jobs. It was all good because Gloria was by his side. The first time EC met "Gloria Sue" he knew she was the girl for him. He asked her out that very night and they danced the night away at the Glider Room at an air base. He asked her for a date the following night and confidently asked her to marry him. The rest is history. He was Gloria's darling and she was his sweetheart. Gloria sang solos in church, clubs, and with a band, but her love songs were always dedicated to her darling EC. They were blessed with a daughter, Lynda Faye and three grandchildren, Diane, Roger, and Billy. They also had "Baby, Sandy, Andre," three dogs that were part of the family and a cat named, "Honey." They possessed a spirited passion for travel and visited China, Hong Kong, Mexico, Alaska and Canada. They also toured the USA in their RV. When Gloria was asked where her favorite place in the world was, she said, "It would be wherever EC was. As long as I'm with EC, that is my favorite place. The Stangle’s were introduced to the Church of Jesus Christ of Latter-day Saints when two missionaries knocked on their door in Midland, Texas. Elder Stephen Burningham from Orem,Utah and Elder Therrol Millet from St. George, Utah, invited them to a public town meeting that was held on a Tuesday night. The speaker that evening was none other than Apostle LeGrand Richards. Who was this man? President Kimball said, “He was one of the greatest missionaries of our time. He was a modern-day Apostle Paul. I can think of no one who has borne his testimony to the truth of the gospel of Jesus Christ with deeper conviction or with greater fervor. For EC and Gloria, The Word of God spoken that night was powerful, pierced their souls, and changed their lives forever. The missionaries then proceeded to teach gospel lessons but they were already converted and were baptized in December of 1960. It was the Monday after April General Conference in 1962 when Everett and Gloria sat in the Salt Lake Temple. They had sent a note to their beloved apostle saying they would be in Salt Lake City and in the temple that Monday morning but hadn’t received an answer back from him. They waited anyway. A half-hour went by and their dreams seemed dashed. Perhaps he hadn’t received their correspondence. His entrance was proceeded by that legendary cane that pounded on the floor. Apologizing because he needed to take care of his ailing wife he proceeded to seal the enlivened couple for time and eternity. They went forth to serve. The Stangle’s Church service in St. George included a mission at the St. George Temple Visitor’s Center and Historical Sites. They did guided tours at the St. George Tabernacle, Jacob Hamblin’s Home, Brigham Young’s Home, and the Pine Valley Chapel. They both spoke fondly of this remarkable experience. Everette Calvin Stangle is preceded in death by his Father and Mother, Laurl William and Faye Stangle, all his siblings, Paul L, Vestal Levi, Lurline Etta, Kenneth William, Cecil Levon, Lloyd Arthur, Donald Joseph and Luella Noami, a daughter, Linda Bass, and a grandson, William Swindell. He is survived by his wife, Gloria, his granddaughter, Diane Griffiths, Cleve Reed and his grandson, Roger Ware. A viewing will be held Saturday, March 30, 2019 at 9:30 am at Hughes Mortuary, 1037 E 700 S, St George, UT 84790, followed by a short funeral service at 10:15. Military Honors will be presented at 11:00 am at the Mortuary by the American Legion. Interment will be at Tonaquint Cemetery.